Coal smoke, chill air and rampaging color. 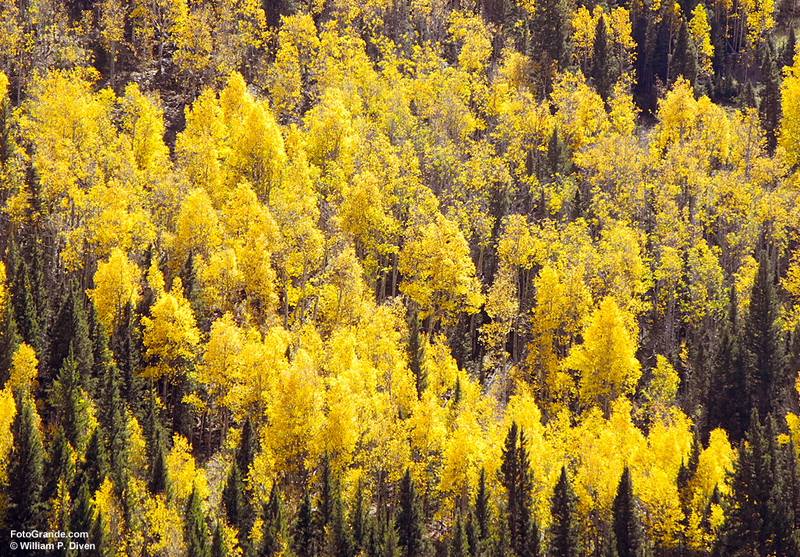 Can’t beat the high country as your train whistles and chugs above 10,000 feet and through the aspen groves on a splendid fall day. 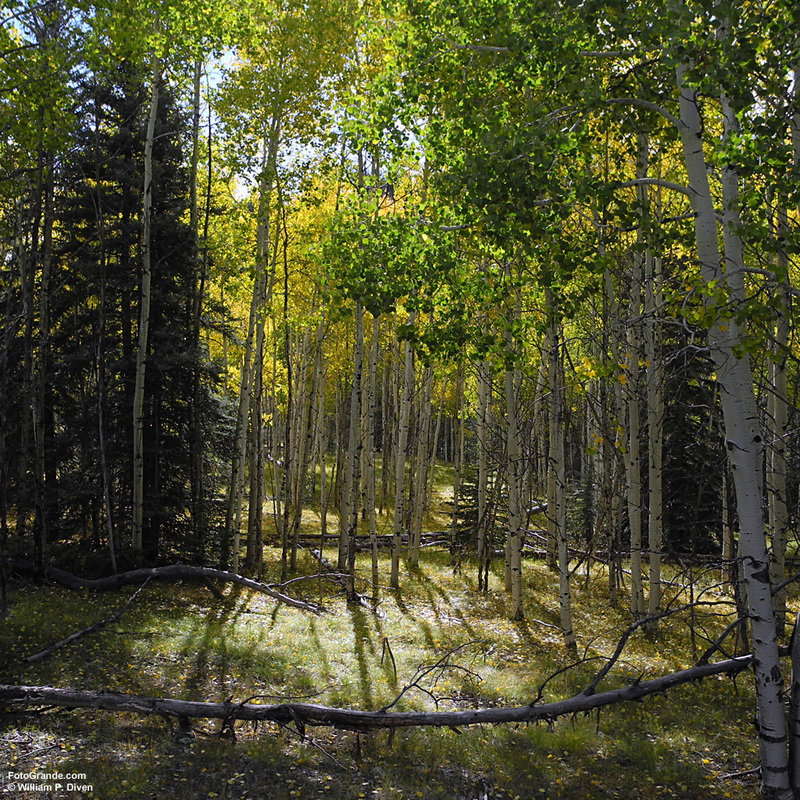 Each aspen stand is its own little family with their DNA determining the remaining color as photosynthesis ends and the green drains away until next year. Photo © William P. Diven. The morning train blasts out of Chama, N.M. heading for 10,2015-foot Cumbres Pass in Colorado. Photo © William P. Diven. 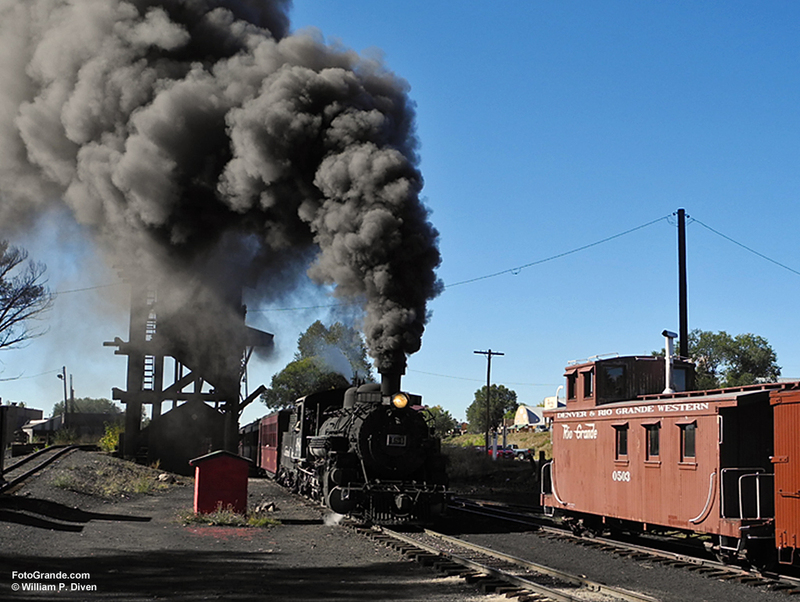 For this trip it’s the Cumbres & Toltec Scenic Railroad out of Chama, N.M., a last remnant of the spider web of narrow-gauge tracks once stuck in the damnedest places all over this territory. Another steam-powered train started about the same time from Antonito, Colo., meeting us at the lunch stop at a remote station in the San Juan Mountains before continuing onward. Good weather or bad, the open car is the best view and the most flying cinders. Photo © William P. Diven. Brilliant. ‘Nuf said. Photo © William P. Diven. 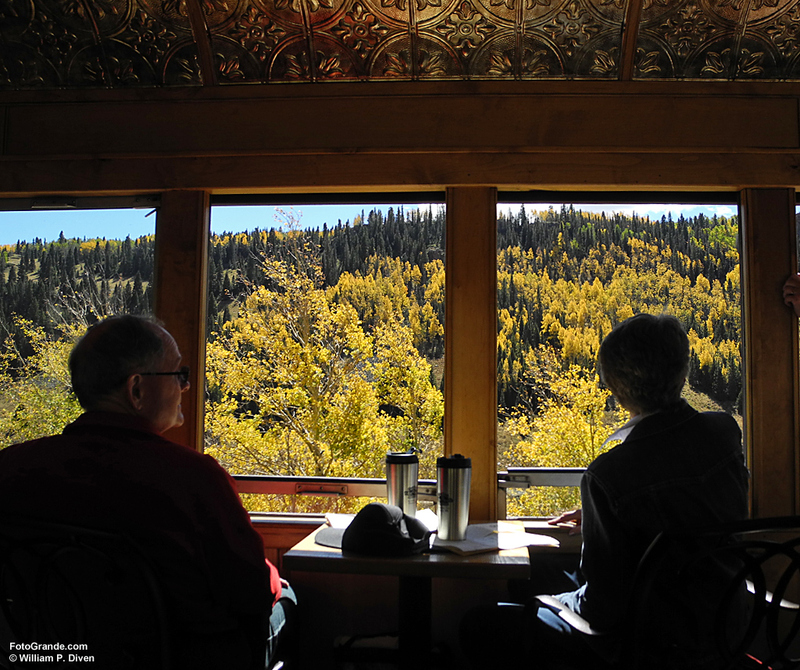 A first-class ticket gets you a seat in the tourist or parlor car, but even the coaches offer a view and a beer. Photo © William P. Diven. The C&TS season wrapped up last weekend, so think about next year. 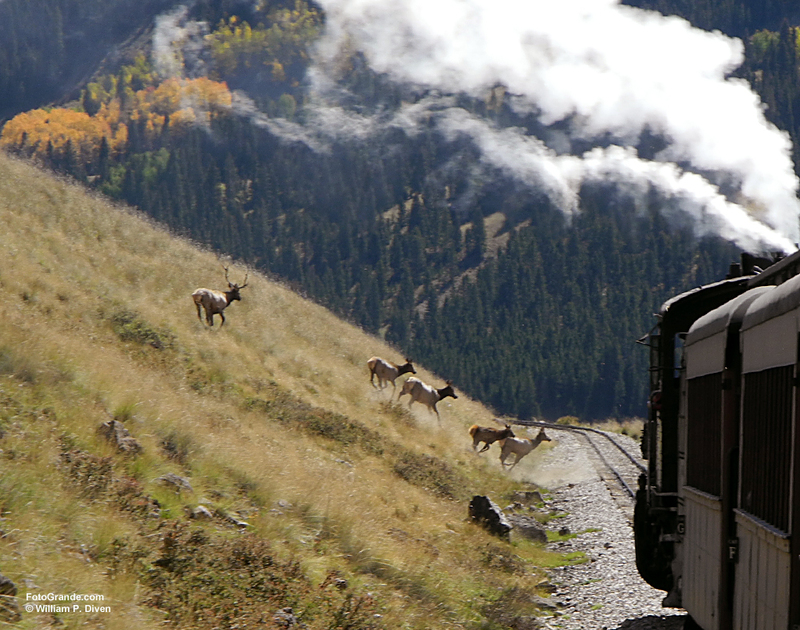 It’s a good ride anytime, but trains tend to fill up as the aspen change color and elk run wild leaving hunters in their dust. Not too far to the west another survivor of the silver boom, the Durango & Silverton, trundles its passengers up the canyon of the Rio de las Animas Perdidas, that’s the River of Lost Souls, all year shortening the trip in the winter. The hunters are still up top in the forest as the elk head for the Rio de los Pinos down below. Photo © William P. Diven. 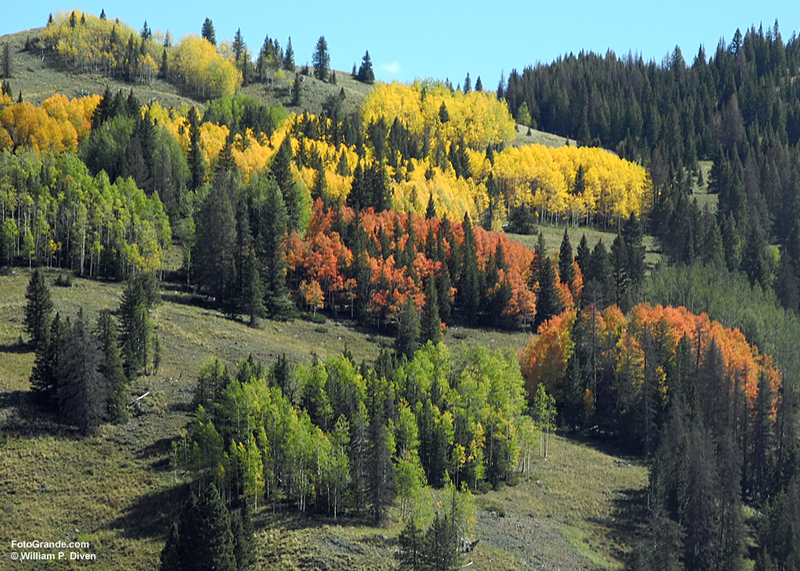 The high country seen from a moving train offers a never-ending slide show. Photo © William P. Diven. 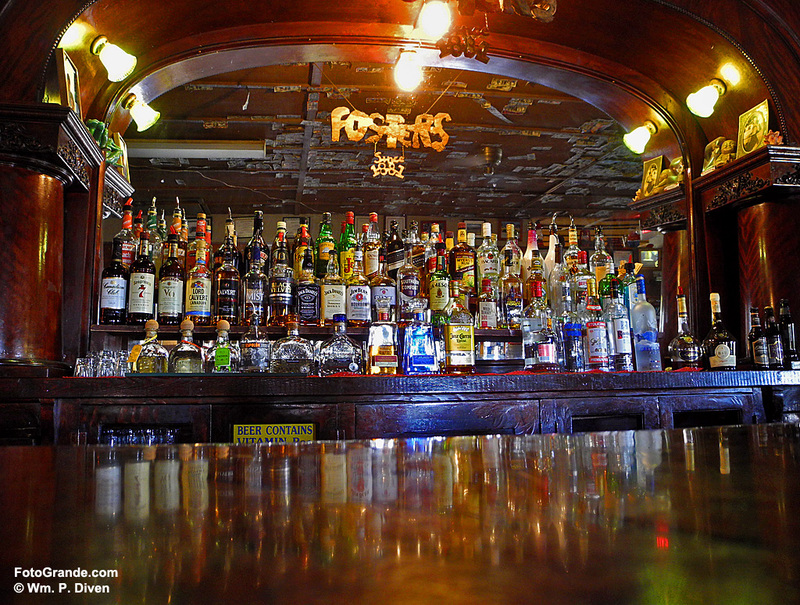 If the steam whistle, clickety-clack and cinders in your eye aren’t enough of a throwback to a time long gone, a shot of rye across from the Chama station at Foster’s Saloon should do the trick. Like it says: Foster’s Since 1881. Photo © William P. Diven. 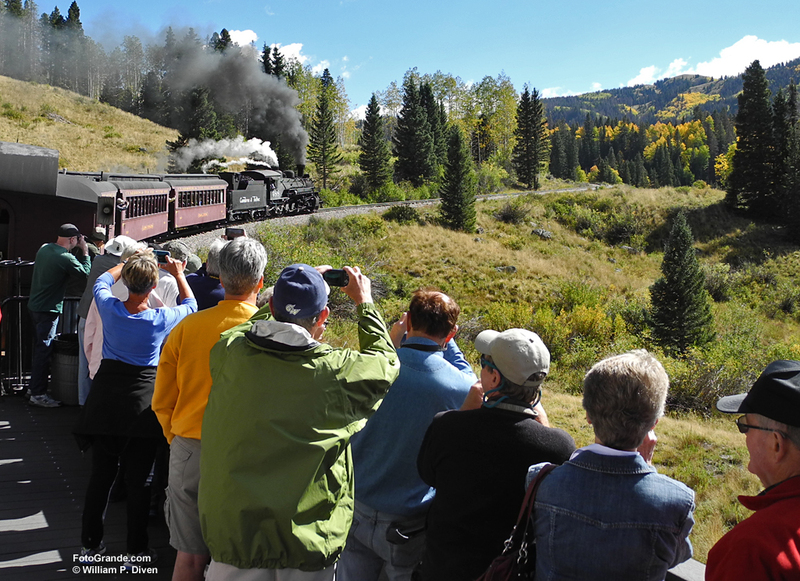 This entry was posted in History, Outdoors, Photos, Railroads and tagged aspen, Chama, Colorado, Cumbres & Toltec, fall colors, New Mexico, steam engines by Bill Diven. Bookmark the permalink. Nice work. Enjoyed the views, especially the elk ! It’s a great ride…I like leaving Antonito and “dropping” into Chama…that last few miles headed into the flatlands of Colorado can get pretty long.